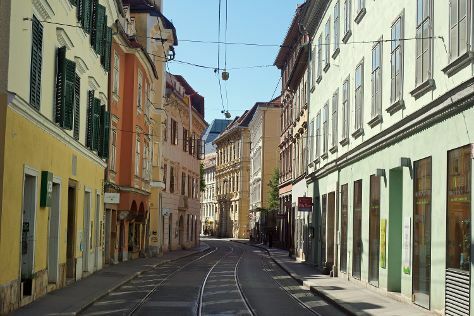 With six universities, Graz represents a young, laid-back, and lively city with nightlife that doesn't stop. On the 11th (Sat), make a trip to Murinsel (Island in The Mur), see the interesting displays at Landeszeughaus, then admire the masterpieces at Kunsthaus Graz, then contemplate the long history of Altstadt von Graz, and finally make a trip to Hauptplatz. Get ready for a full day of sightseeing on the next day: stroll through Grazer Schlossberg, then take in panoramic vistas at Uhrturm, then explore the world behind art at Schloss Eggenberg, and finally examine the collection at Arnold Schwarzenegger Museum. For traveler tips, more things to do, maps, and other tourist information, refer to the Graz trip builder. If you are flying in from Croatia, the closest major airports are Vienna International Airport, Graz Airport and Klagenfurt Airport. In February in Graz, expect temperatures between 5°C during the day and -3°C at night. Wrap up your sightseeing on the 12th (Sun) early enough to travel back home.